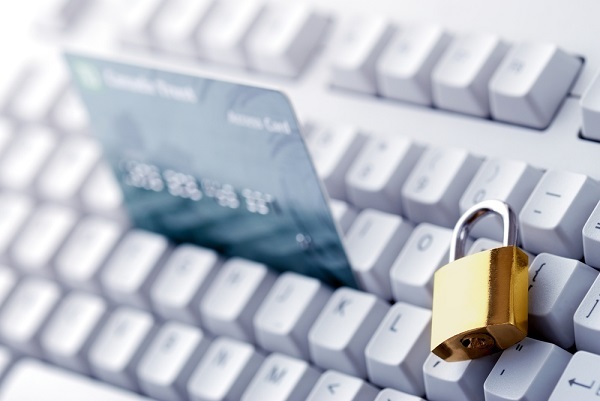 In early February 2014, British multinational grocery and general merchandise retailer, Tesco, fell victim a data breach. Once hackers extracted Tesco customers details, the cyber criminals posted them in a public pastebin link. The pastebin link has since been removed from the public web. But under the secret dark web, Tesco customer details are in high demand. In a report by The Guardian, Tesco customer details are in high demand. 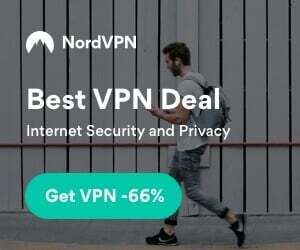 Vouchers appear to be on the eBay of drugs, known as the Silk Road 2.0. 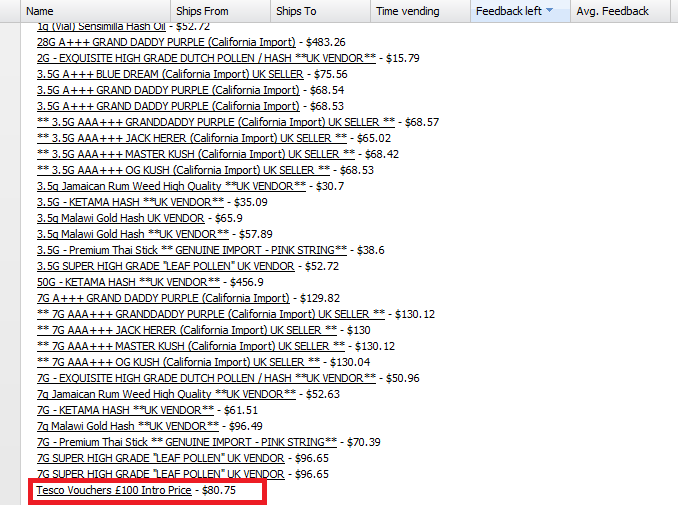 In a screenshot from the Silk Road 2.0, Tesco vouchers worth £100 ($167.15), can be seen begin sold for $80.75 (£48.31). While Tesco cards are in high demand, they are ranking number two in the most sold item on the Silk Road 2.0. 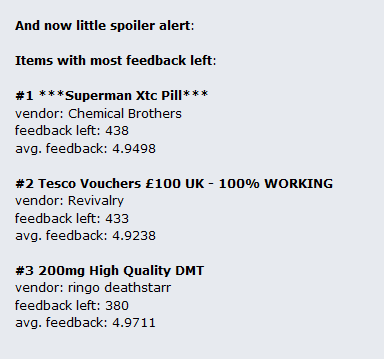 Right above the Tesco cards is, “***Superman Xtc Pill***”. A screenshot from a dark web chat shows the top three most sold items. Tesco ranking at number two! While sales are roaring for Tesco customer cards, Tesco insists none of its customers will “loose out” in victim to the fraud. Throughout online chats on the dark net one customer questions their anonymity. While Tesco cards are hot on the market, the breach has been live for just about one month. While sales roar, only limited amounts can be sold due to the scale of the Tesco breach. As the original Silk Road shut down, drug markets are in no shortage. Shortly after Ross William Ulbricht, the alleged Silk Road mastermind was arrested, online dark web drug markets spiked. After many resulting in high profile BitCoin scams, the market has once again leveled out. The Tesco data breach appears to be in high demand on the ever growing Silk Road 2.0.